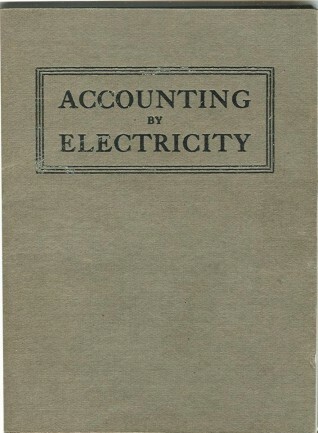 The Computer Church: The Accounting by Electricity. This very small 36 page booklet measures only 4 7/8 inches high by 3 3/4 inches wide. 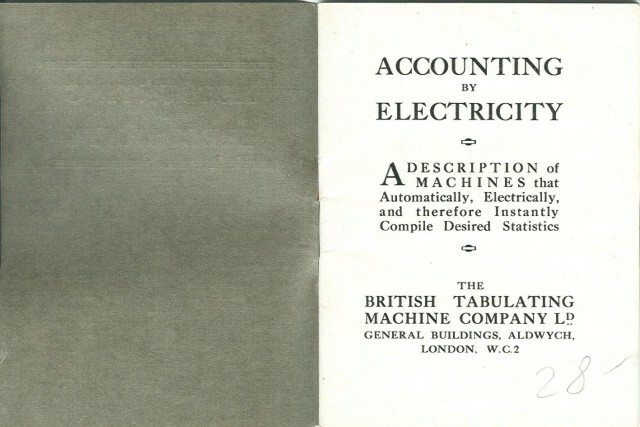 It was published by the British Tabulating Machine Company ¹ and seems to be aimed at convincing commercial enterprises of the benefits of using electric accounting systems. We cannot be sure when it was published. 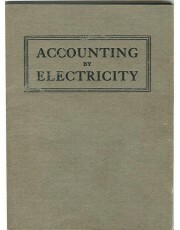 However, there are some clues and we believe it was published sometime between 1908 and 1928. 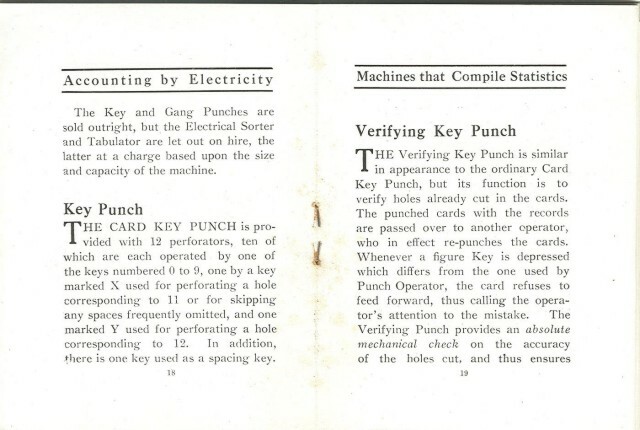 The upper barrier is easy to establish; this booklet shows images of 45 column Hollerith punch cards and BTM converted to 80 column cards in 1928 so it was almost certainly published before then. It has several interesting pictures. 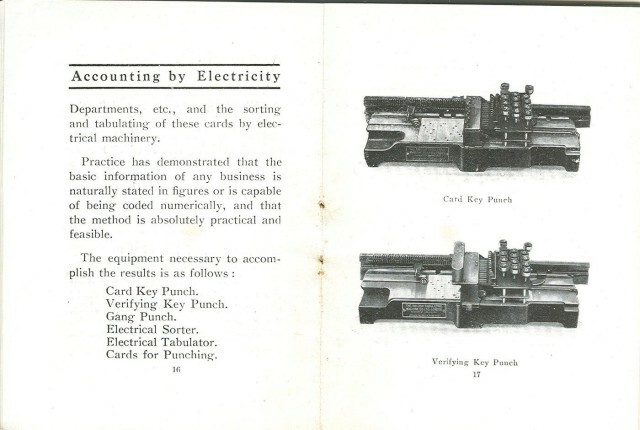 We have mentioned the 45 column punch cards; there were also pictures of hand key punches (not electrical) and an electrical sorting machine that may be the Model 070. The Model 070 was introduced by Hollerith in 1908, so the publication had to be after that date. "The Hollerith Sorting and Tabulating Machines will enable you to secure all this information and as much more as you desire at a minimum of expense and in the quickest possible time, reducing materially the clerical force employed in compiling Accounts and Statistics, and at the same time giving results which cannot be obtained by written methods. Girls or boys only are required in connection with their operation." 1. The British Tabulating Machine Company Ltd, also known as BTM, was a subsidiary of Herman Hollerith's Tabulating Machine Company. As they say on p. 31, "We are the sole proprietors of the Hollerith Tabulating and Sorting machines in the United Kingdom and the Colonies (except Canada)." Hollerith kept Canada and the USA for his Tabulating Machine Company.